Behold! Terrence Malick’s ‘To The Wonder’ Trailer!!! Over the past several days, you might have noticed the site has not been updated. No need to worry, everything is fine, and I appreciate all of the emails asking what’s been going on. I’ve had a bad cold since last week, which has left my head feeling like it was submerged in black tar and repeatedly beating by mega ton hammers. So today, is the first day I have felt well enough to even get out a sentence on the computer. Hopefully tomorrow, I’ll be back to 100%. – – On to the cool news. Terrence Malick‘s new film ‘To The Wonder‘ has finally got a trailer and it looks very Malick-y. 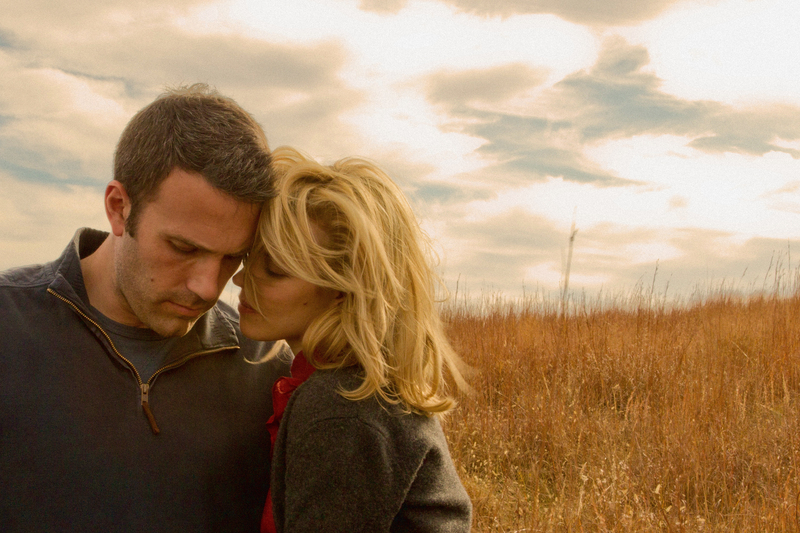 ‘To the Wonder‘ stars Rachel McAdams, Ben Affleck, and Javier Bardem to name a few. Synopsis: ‘To the Wonder‘, Terrence Malick‘s poetic examination of man’s relationships, stars Ben Affleck as an American who falls in love with a woman in Paris. He marries her and she moves with him and her daughter to the United States. When their union falters, he considers becoming involved with an old girlfriend Rachel McAdams. Meanwhile, a priest Javier Bardem contemplates the relationship between God and love. See a Photo From Terrence Malick’s Post “Tree Of Life” Film Which Has No Title Yet!!! Check Out DC’s Finest In The ‘Justice League’ Trailer!!! Terrence Malick has a new film called ‘Knight of Cups’! Check Out The Sneak Peek of ‘Batman V Superman: Dawn of Justice’!!! This entry was posted on Wednesday, December 19th, 2012 at 11:49 am	and is filed under Film, News. You can follow any responses to this entry through the RSS 2.0 feed. You can skip to the end and leave a response. Pinging is currently not allowed. « The ‘Downton Abbey’ Cast Spoofs ‘Breaking Bad’ on the ‘Colbert Report’!!! [singing along with Stevie Wonder's "Superstition"] Seven years of bad luck.